1. 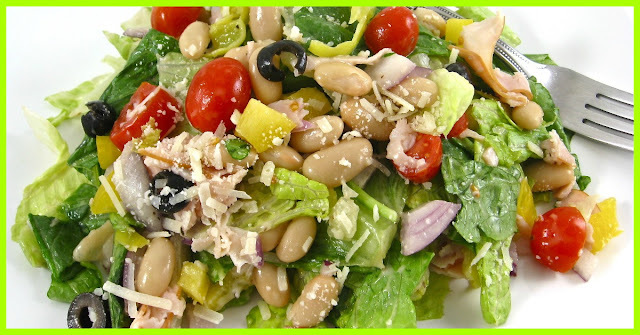 In a large bowl, add all salad ingredients except salad dressing and cheese. Refrigerate until ready to serve. 3. This recipe can easily be cut in half, if desired. If you want to eat leftovers the next day, only toss in dressing, the amount you’ll need for each meal.